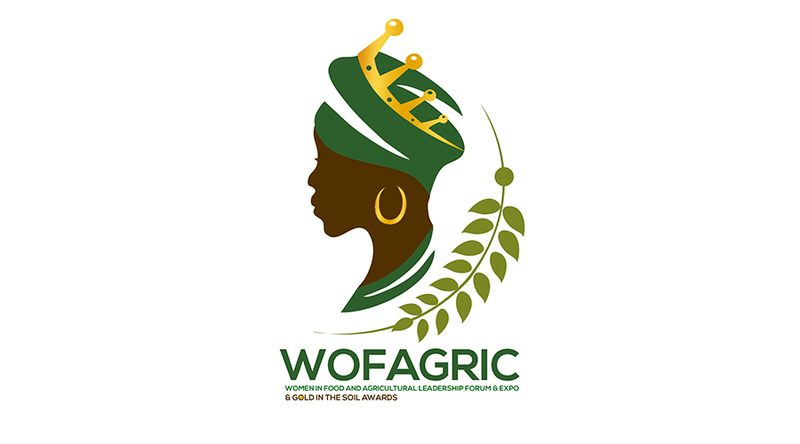 WOFAGRIC is Agrihouse Foundation’s expert opinion sharing, mentoring, networking and learning platform for women in agriculture, agribusiness, key stakeholders, development partners, researchers, farmer groups, government agencies, business, civil society, investment and professional advisors and corporate leaders. This year’s event, themed,” Women, Key Partners in Shading Agribusiness” will hold in Ho- Volta Region on the 12th and 13th of June, 2019. The event is being organized in collaboration with the Ministry of Food and Agriculture, Ministry of Gender, Children and Social Protection, Women in Food and Agriculture Development, COCOSHE, Peasant Farmers Association, National Farmers and Fishermen Award Winners Association and the Volta Regional arm of the Ghana National Farmers and Fishermen Association. EXPLORING THE THEME: “Women! Key Partners in Shaping Agribusiness. What does the future hold for the backbone of the economy and the sub-regional basket? What impact are women having in shaping and directing the conversation on production, processing, communications, marketing? Are there favorable policies? How are farm related components of the rural economy contributing to income generation and employment? What is the Government planning next for women in Agribusiness? How are we contributing to women’s empowerment and agricultural entrepreneurship? Are women very well exposed to the aspects of planning, development and management of businesses in agro-industries? What are the plans and initiatives or donor agencies to support women in agribusiness? What is the way forward? Is it the dawn of a new day? Have or can women take their place in the sector full of opportunities? What factors are necessary for good agricultural production? The Women in Food and Agric Forum and the Gold in the soil Awards, will bring together over two hundred stakeholders; top achievers from the industry and heavy weight thought leaders alongside inspiring individuals from outside the confines of the Agricultural sector, who aspire in their daily lives to bring about new thinking, share knowledge and learn from industry experts. The above topics have been carefully selected from leads and recommendations, as well as major issues trending in the agricultural sector. The agricultural landscape is largely dominated by women who make up almost half the world’s farmers. Most of the small holders, including women in agriculture, have less access to education and finance which makes it more difficult for them to adopt new technologies. Research shows that agriculture productivity in developing countries could increase 20-30 percent, if women are given the same access to resources as men. Apart from poverty-reduction benefits to women in agriculture, improving the productivity of existing agricultural lands is a critical way of addressing deforestation and climate change. As part of efforts to continuously improve and recognize the effort of women in the Agricultural industry and to bring dynamism into the fore, Agrihouse will be organizing the Women in Food and Agriculture Leadership Conference & Expo (WOFAGRIC) which is aimed at showcasing through exhibitions, the works, products and services of women in Agric. in Ghana and beyond. The event purely focuses on Smallholder Women in Agriculture, whiles building capacity, alongside the 2day event. WOFAGRIC seeks to pay tribute to the efforts and contribution by women, young female ‘agripreneurs’, female students and women with disabilities for their roles toward ensuring food security, poverty alleviation, employment creation and ultimately helping the economy. WOFAGRIC seeks to recognize pioneers and trailblazers; the women who push the boundaries along the value chain. From the days of Adam to Tetteh – Quarshie, men have been considered to be at the forefront of agriculture. Women who have dared to challenge this stereotype have been looked at in a not-so- encouraging light. Though there has been a lot of work to increase visibility of women achievers in all industries, women still need and want to see other women role models. Identifying exceptional women who others can relate to via women-only awards is a step in providing the much-needed examples currently lacking in many traditional awards. The end goal would be to have a level playing field among the genders but currently, we do not. Women are outnumbered by men in the executive talent pool in almost all industries for a number of cultural bias reasons. Agrihouse Foundation and her partners believe there need to be a paradigm shift in this regard by projecting women achievers in agribusiness. It also aims to promote networking among women achievers in agribusiness and propel them to do more collectively. The two-day Conference will be organized alongside the two-day exhibition to help build capacity of women farmers, entrepreneurs and women in agriculture. valuable lessons learnt in handling and overcoming challenges in agribusiness. Advocate for inclusive value chains and agricultural market systems to support women in agribusiness. The award recognizes those who have achieved excellence in their field or demonstrated an extraordinary contribution to the agribusiness industry. This category targets awarding women who are farming in their own right or in a partnership. These women should have made essential contribution(s) to the success and profitability of the farm dovetailing into creation of jobs and improving the economy of the country. This category seeks to look out for a woman who looked at the community in relation to the farm, identified challenges and saw immense opportunity through diversification and eventually makes a success story out of that business idea. This special category goes to women with disabilities for the roles they play towards ensuring food security, poverty alleviation, job creation and economic growth in the Agric sector. Community has had a significant, positive impact on agribusiness. contributions with a long-lasting benefit to this sector. The awards are open to women aged 18 and above from every district in Ghana. There can be direct entries or one could be nominated by friends or family by filling in an application form online or picking a form from the offices of Agrihouse foundation. A typed profile, not to exceed 500 words, describing the agricultural work of the nominee and in their community. Two nominators, providing letters of recommendation (not to exceed one page each) and contact information. All applications and nominations must be sent in before the closing date of Wednesday 1st May, 2019. Email entries to agrihousefoundation@gmail.com or albertaakosa@outlook.com or submitted at the offices of Agrihouse Foundation. For full details call: 0244623012 / 0242945108 / 0249980957 /0540386759. Women role in agriculture has been under estimated and undervalued for a long time. This to an extent has contributed to ladies venturing into other fields such as Management, HR, Science and Technology, entertainment just to mention a few with just a fraction of them taking up careers in agriculture. WOFAGRIC will help put women’s contribution in agriculture at the forefront and showcase their products and services. This will throw more light on their activities which will motivate other women to see role models in these accomplished ‘womenpreneurs’. The Conference and capacity building component of the program will help small holder women farmers identify untapped potentials in the Agric sector and help them create jobs on their own with assistance from the role models who will serve as mentors. WOFAGRIC awards will recognize and honor the contribution of accomplished women. This will spur them on to do more and serve as a challenge for others. In the long run, more women would be in the Agric space helping create more employment. With its consistency, it will continue to play that facilitation role that has largely been missing. The WOFAGRIC Event will continue to ensure that deliberate attention is focused on women in agribusiness as this will help Ghana achieve and maintain even more growth in the agriculture sector.